This bundle includes a collection of 18 top-notch, wild west inspired photos. 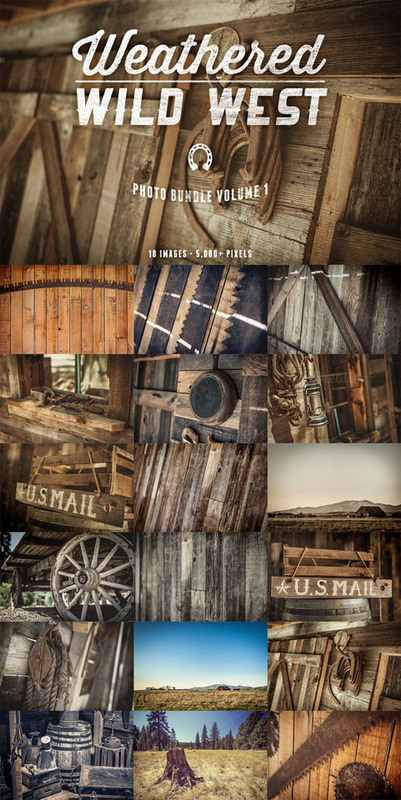 This package features battered barns, hanging horseshoes, and a whole lot of weathered wood. Each file is super high resolution and is suitable for both print and web.